Starting August 2017, FIBRA NOVA starts operations in the Mexican Stock Market (FNOVA17) . FIBRA NOVA is a Mexican REIT (Real Estate Investment Trust) that includes 81 propierties with a leasing área of 217,562 square meters in 19 different cities in Mexico. 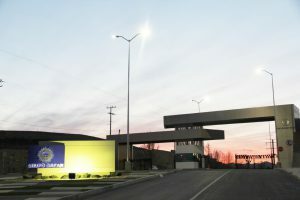 FIBRA NOVA property portfolio includes offices, universities, manufacturing and logistics as well as retail with 210 million pesos annual operative income. FIBRA NOVA main clients are: RR Donnelly, Beckers, Truper, Visteon, Valle de México University, Carnemart among others.